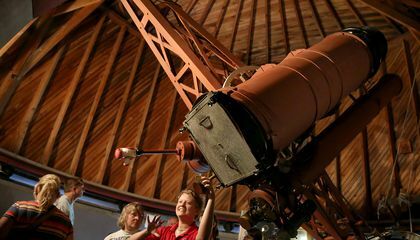 Arizona has long been a haven for astronomers. They take advantage of the state's mountain peaks and vast stretches of dark, desert sky to gaze at stars and planets. The state is also home to a thriving billboard industry. Its signs light up a vast network of freeways. The two industries have long clashed. Now they are in the midst of another fight. It has reached the Arizona Legislature. A bill would allow electronic billboards to shine in two counties. They are in the western part of the state. It is where they have been banned under a 2012 agreement. The deal designates a corridor for dark skies, to limit light pollution around observatories. Astronomers say the exemption will threaten dark skies. But billboard makers don't believe it will hurt the industry. The House passed the bill on a 32-26 vote. Now it moves to the Senate. Just what is Arizona's dark sky corridor? It is a zone created to protect the night sky. What is it protecting the sky from? It is protecting it from the street lights, electronic signs and other sources of excess artificial light. The light causes what is known as light pollution. The dark light corridor is basically a buffer surrounding the state's main observatories. Astronomers and others use the corridor to observe the night sky for research. The experts use the corridor for stargazing, GPS monitoring and even national defense purposes. This is according to Jeffrey Hall, director of the Lowell Observatory in Flagstaff. Arizona is home to three of the country's largest telescopes. They are at Lowell Observatory, Kitt Peak National Observatory outside Tucson and Mount Graham National Observatory near Safford. The proposal would allow electronic billboards along the Interstate 15 corridor. It is in the northwest corner of the state. It could impair a park with a dark sky designation, said John Barentine, program manager with the Dark-Sky Association. Concessions made in the 2012 agreement force the billboard industry to dim their displays at night. They shut them off after 11 p.m. I thought your story was great it gave wonderful examples about astronauts and other things. I'm sure it's very pretty at night with no light pollution so space can be revealed. There is so little light pollution in Arizona because there are laws restricting it near observatories they are usually in remote places. The article states: "A bill would allow electronic billboards to shine in two counties. They are in the western part of the state. It is where they have been banned under a 2012 agreement. 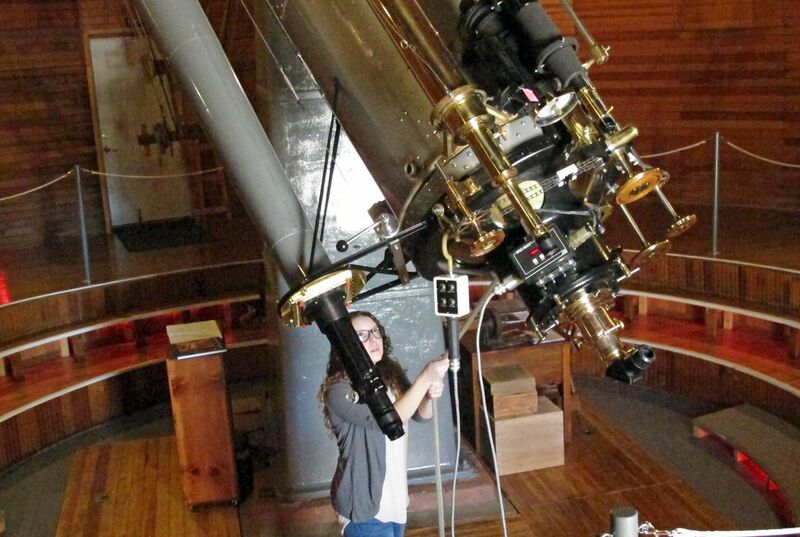 The deal designates a corridor for dark skies, to limit light pollution around observatories." If actually laws regulate the amount of light pollution in Arizona, there would obviously be little light (at least near the observatories, since, as the article states, they are the ones affected by it). Federally protected, if one tried to put relevant sources of lights where they're inconvenient to astronomers, they'd be arrested. It would be considered breaking the law, and light-involved companies such as billboards cannot post their products up thereby spreading light. Another reason there is minimal light pollution in Arizona is because the observatories are in remote places. Business man Tim La Sota states: "People aren't going to put these billboards out on an untraveled country road. It doesn't make any commercial sense." Observatories are in mainly deserted places that usually no one trespasses. The goal of advertising on billboards is to persuade people to buy a certain product, but that goal cannot be accomplished efficiently since there would be hardly any people to notice it, let alone drive on a road that is hardly driven on. It would be impractical to post billboards near observatories, being in so much of a remote place that hardly anyone will pass, therefore hardly anyone will get the chance to look at a billboard there. Since billboards aren't posted there, they giving off a considerable amount of light, light is considerably lower near observatories, which make up a surprising amount of Arizona. I found this article interesting; it baffled me to see how rigorous an argument could get over a simple thing such as light pollution. However, it inspired me how determined astronomers are to keep discovering. There is so little air pollution in Arizona because of the limits on outdoor artificial lights. Arizona has a dark sky corridor that surrounds major observatories to allow for better viewing of the night sky. There are laws there that limit the usage of artificial lights outside of buildings, therefore, "protecting it from the street lights, electronic signs and other sources of excess artificial light" which, in turn, leads to much less light pollution. I think that electronic billboards and such should not be put in because the area contains many major observatories that require a clear, pollution free, sky in order to clearly see the stars. The light pollution might have been able to start the fight again which is about people putting up electronic billboards on the sides of the interstate highways that run through Arizona which people would not like about the billboards. The people that work at the three observatories that they don't want to get the electronic billboards to be built along the sides of the interstate highways. The people might have not wanted to be interrupted by a lot of artificial that are going to shine at their eyes while they are researching the stars and other planets in the observatory. People might have not wanted the billboards to be built along the interstate highways which people wouldn't like to get the electric lights to be built along the highways. Critical Thinking Question: Why is there so little light pollution in Arizona? Answer: Because there aren't that much cities that had been developed next to the mountains which researchers are able to research the stars and other planets with getting interrupted or get shined in their eyes by artificial lights while looking into the telescopes. There is so little light pollution only around the dark sky areas. Other areas are filled with billboards and cities. Why is there so little light pollution in Arizona? Well there are strict rules on it as of now. Which are steadily loosening and people think that there will be no laws that prevent bill board placement. This means that astronomers will be unable to see down the corridors into space. Also these corridors are used for national defense, so why do they allow it?? There is so little light pollution in Arizona because of the cut on artificial lights. They use billboards that produce light without pollution. The only place light pollution exists is in dark sky areas because it's so dark. This protects everyone and allows there to be a clear sky. There is so little light pollution first of all because you can only put light up billboards in certain places. The second reason is that they came to an agreement that stated the billboards are "shut off after 11 p.m." They also have corridors which are places they are not able to put up big signs that light up.